Every year 580 Australians with Type 1 –Diabetes, die. Many are under 18 years…kids and teenagers…dying too soon. This has to stop! 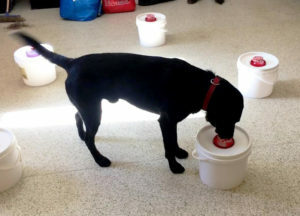 So, we sent Mandela, Moses and Gary, 25,392 kilometres to the USA to learn how to become medical alert assistance dogs trained to detect and alert to a drop in blood sugar levels (hypo). This early detection and alert means that a kid can get the help they need, before it is too late. You can be part of the solution too! Click on this link and make a donation that will help us put these educated canine noses to work.